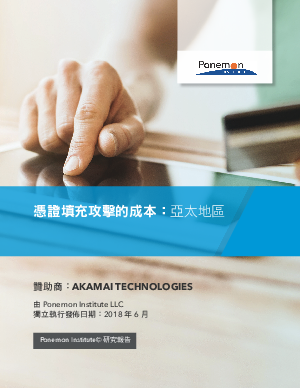 Ponemon Institute surveyed 538 individuals in IT security who are familiar with credential stuffing and are responsible for the security of their companies’ Internet properties. According to respondents, the challenges in identifying who is accessing their websites using stolen credentials complicates the ability to prevent and remediate these attacks. The survey identified key stats about credential stuffing, including the costs organizations incur to prevent damage, and the financial consequences when attackers succeed. These costs are broken out into downtime, lost customers, remediation and fraud-related expenses. The survey also highlights the need for focused accountability and appropriate budget to protect businesses.